USC scientists have created the most detailed atlas yet of the hippocampus, the brain’s memory bank. 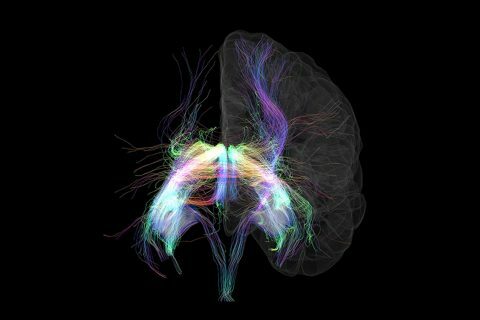 Using fluorescent tracers and 3D animation, the scientists show structures, nerve connections and functions in vivid detail. The study appears today in the journal Nature Neuroscience. Hippocampus comes from a Greek word for seahorse, because that’s what it looks like. People have two of them, one for each cerebral hemisphere. They’re at base of the brain. The hippocampus turns experiences into long-term memories, like a computer hard drive. It’s the first place that Alzheimer’s disease strikes to rob memories. “Like a new atlas, we’ve constructed the most detailed diagram of the hippocampus to date,” said Michael S. Bienkowski, lead author of the study and a researcher at the USC Mark and Mary Stevens Neuroimaging and Informatics Institute. “With a better map, we can see each region and how it functions. The human hippocampus sits at the base of the brain. It stores memories, helps regulate emotions and guides navigation by spatial processing. It’s the first part of the brain impaired by Alzheimer’s; hippocampus degeneration also can cause epilepsy and other diseases. In this case, scientists worked on a mouse brain because it’s organized similar to a human brain. Scientists can use the new map of the hippocampus to deliver genetically targeted drugs to specific neurons with fewer side effects, said senior author Hong-Wei Dong, USC professor of neurology and director of USC’s Center for Integrated Connectomics. The work is part of the Mouse Connectome Project, a USC-led effort that collects data about neural connections in the brain, sharing it publicly with researchers in more than 100 countries. 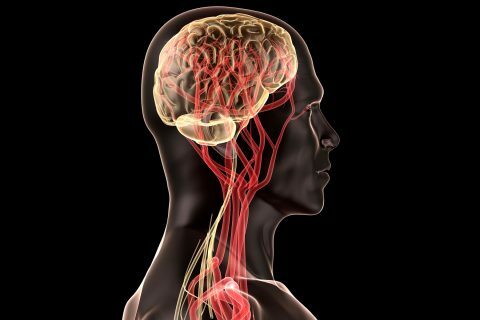 Disconnections in the brain underlie Huntington’s disease, Parkinson’s disease, Alzheimer’s disease, autism spectrum disorders and other illnesses. 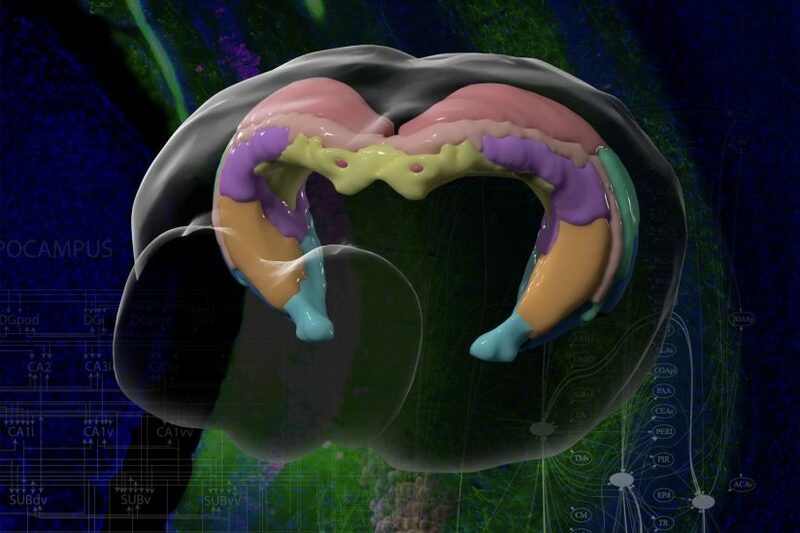 Scientists have known the basic four-part architecture of the hippocampus for a long time. 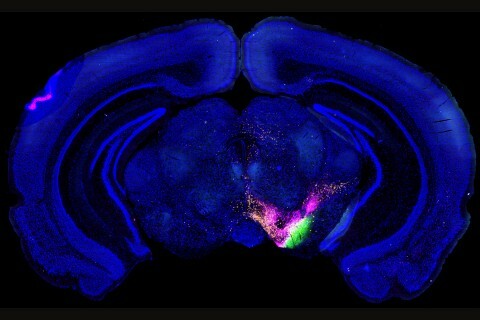 What’s different now is the USC scientists can show its sub-regions and how nerve cells interact across the structure. It’s a night-and-day difference, akin to seeing transmission lines and power poles slung across a city by day compared to fully illuminated at night. This new visualization traces neural pathways and connections in remarkable detail using fluorescent dyes as tracers that reveal cells, neuron junctions and connections to the rest of the brain. Alzheimer’s disease is the sixth leading cause of death for older people and the leading cause of dementia in the United States, according to the National Institute on Aging. It accounts for 93,500 deaths nationwide annually, and the prevalence and rate of death is increasing as the population ages, according to the U.S. Centers for Disease Control and Prevention. The Mouse Connectome Project at USC is part of a larger effort funded by the National Institutes of Health to map all the connections of the brain to understand how different structures network to regulate behavior. Dong’s research focuses on how to classify neurons based on both genetics and connectivity, information that could help other researchers develop strategies to target neurons to treat diseases in humans. The work is parallel to a Human Connectome Project, involving 100 researchers at leading research institutions with $40 million from the NIH, which maps brain connections in humans. The human brain contains about 100 billion neurons, each with about 10,000 connections, so mapping this network is a big-data challenge involving many scientists. USC’s contribution helps advance the larger effort by starting with a simpler task such as the mouse hippocampus research. The study authors are Bienkowski, Ian Bowman, Monica Y. Song, Lin Gou, Tyler Ard, K. Cotter, Muye Zhu, Nora L. Benavidez, Seita Yamashita, Jaspar Abu-Jaber, Sana Azam, Darrick Lo, Nicholas N. Foster and Houri Hintiryan of the USC Mark and Mary Stevens Neuroimaging and Informatics Institute (INI) and Center for Integrated Connectomics (CIC) at the Keck School of Medicine of USC; and Hong-Wei Dong of INI and CIC and the departments of physiology and neuroscience as well as the Zilkha Neurogenetic Institute at the Keck School of Medicine. The USC Stevens Neuroimaging and Informatics Institute is part of the Keck School of Medicine. The work was supported by the National Institutes of Health/National Institute of Mental Health (R01 MH094360-01A1), NIH/NCI (U01 CA198932-01), NIH/NIMH (RF1 MH114112-01), NIH/NIMH (U01 MH114829-0), NIH/NIMH (F32 MH107071-01-A1) and a pilot fund of the Alzheimer’s Disease Research Centers (P50-AG05142). Federal grants support several projects, including a new archive for nationwide data sharing. 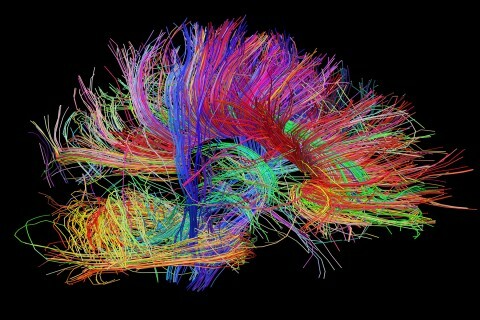 Are we getting closer to a complete brain map? New devices developed at USC Viterbi explore more regions safely and less invasively. Brain connectivity atlas assists in the understanding of mental and neural disorders. Their work straddles biological science and engineering, bringing improved measurements to clinical treatments for diseases such as Alzheimer’s and autism.